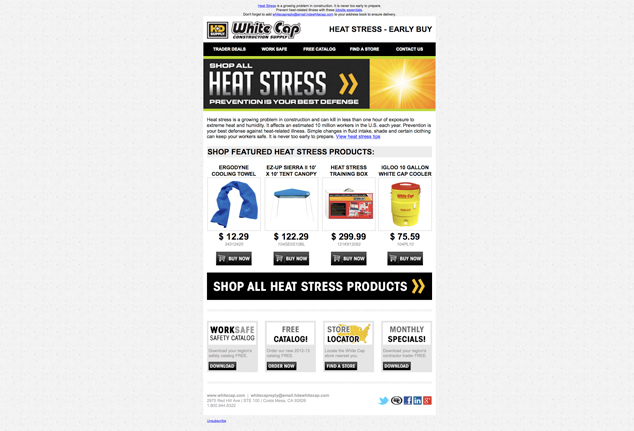 This email newsletter designed for whitecap.com was created using HTML and inline CSS. This email was tested to work across multiple browsers (both Mac and Windows) and email service providers which included Gmail, Yahoo, Hotmail, AOL, Outlook, Firefox, Safari, Chrome, Internet Explorer and Opera. 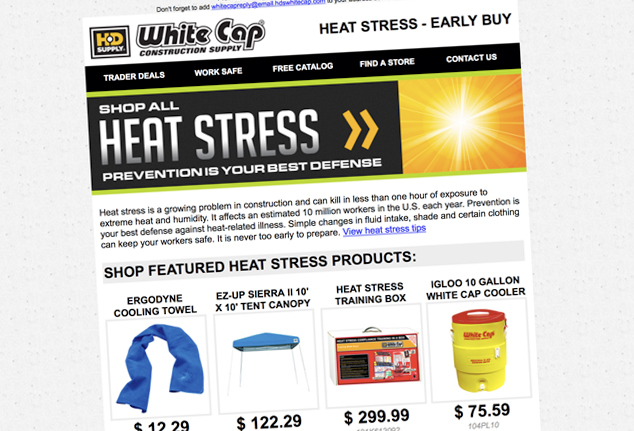 The header graphic was designed to be consistent with Heat Stress branding already existent in the monthly trader publications while the use of buttons, logos and icons throughout the email are also consistent with White Cap's brand standards. 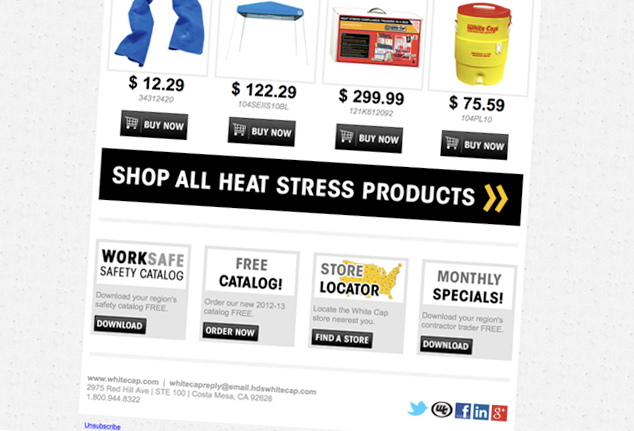 White Cap Construction Supply is the nation’s leading distributor of specialty hardware, tools and materials for large and medium-sized contractors.